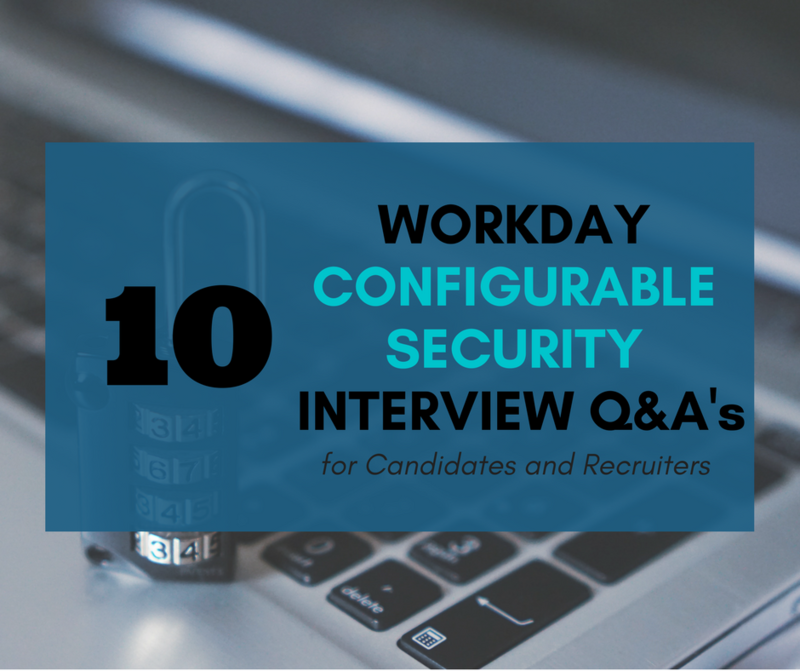 In the fourth part of our Workday Interview Questions for Candidates and Recruiters series, we are addressing Workday Security configuration. Security Configuration rules who has access to what in Workday. Thus, it is essential for any Workday Professional to understand Security Concepts at least at a basic level to determine when to escalate issues to the Security Administrator of their respective Organization. What groups do you need to be part of in order to modify security in Workday? Security Configurator or Security Administrator. Which report can you use to view all security groups assigned to a user? Which report can return all items that can be accessed per security group? To view all security groups assigned per user: View Security Groups for User. To view all you can access per security group: View Security Group. What report can show you a security description of any item (task, report, web service, business process security policy) in Workday? Hint: This is arguably one of the most important security report tools. View Security for Securable Item. What are the two types of security policies in Workday? Domain policies and Business Process policies. What can you control with Domain Security Policies? You can modify which group can View or Modify items in a report/task, or GET or PUT transactions from an integration. What report and task can you use to view and edit domains and business process types between the different Workday modules? Functional Areas report to view, Maintain Functional Areas task to edit. Are changes to security policies immediately applied? If not, then how do you apply them? You need to run the Activate Pending Security Policy Changes to apply the security policy changes. Say that you, the Security Administrator, inadvertently altered a security policy that revoked access to several key integrations in your system. What can you do to fix the problem and restore the security quickly? Run the “Activate Previous Security Timestamp” to revert to the previous time the Activate Pending Security Policy Changes was executed. What 1-step action can you take to validate that John Doe has access to a report or task in Workday? The fastest way to validate his access is to run the report “Security Analysis for Workday Account” for John Doe. How do you go about managing access to integrations? You should create an Integration System User and an Integration Security Group. Assign the Integration User to the Integration security group. Then utilize that security group to add security policy access.